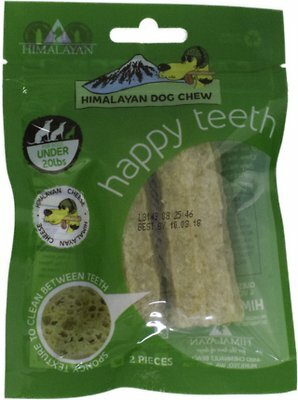 Your pooch dreams of toothbrushes made of cheese, and luckily for him we have the Himalayan Dog Chew Happy Teeth Himalayan Cheese Flavor Dental Dog Treat. 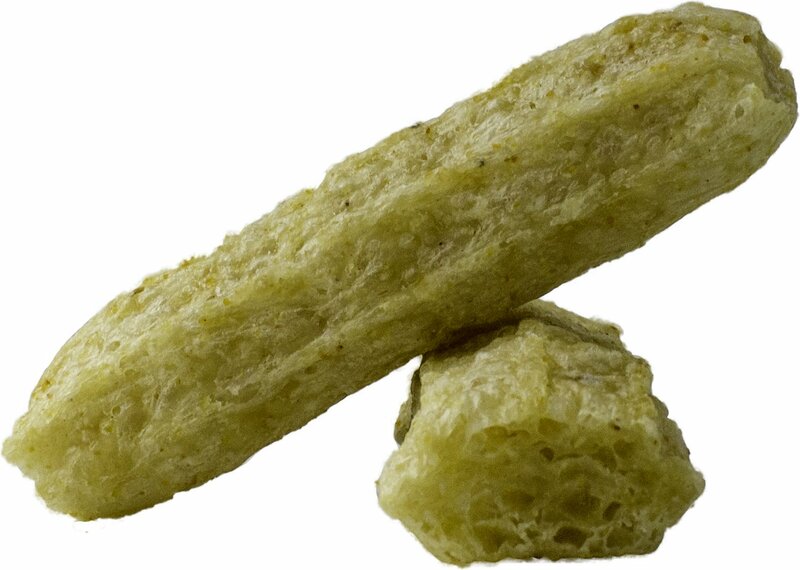 It has a spongy texture that cleans between teeth and is made with wholesome cheese as the first ingredient. 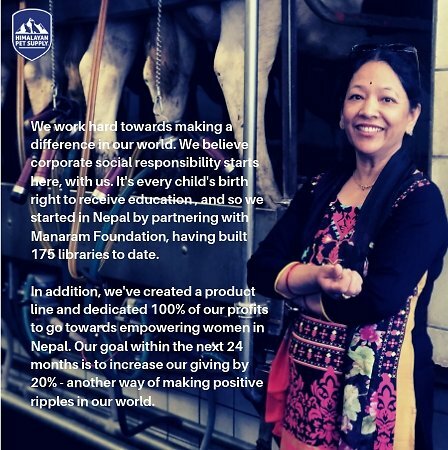 This isn’t your ordinary cheese though, but an ancient Himalayan recipe that turns milk into a cheese that’s hard enough to help scrape tartar from doggy teeth. It has naturally occurring enzymes that help remove plaque and minerals to strengthen teeth, plus an irresistible cheese-flavor. They’re made in the USA and contain no lactose, gluten, soy or anything artificial, and available in two sizes to match your pal’s bite. 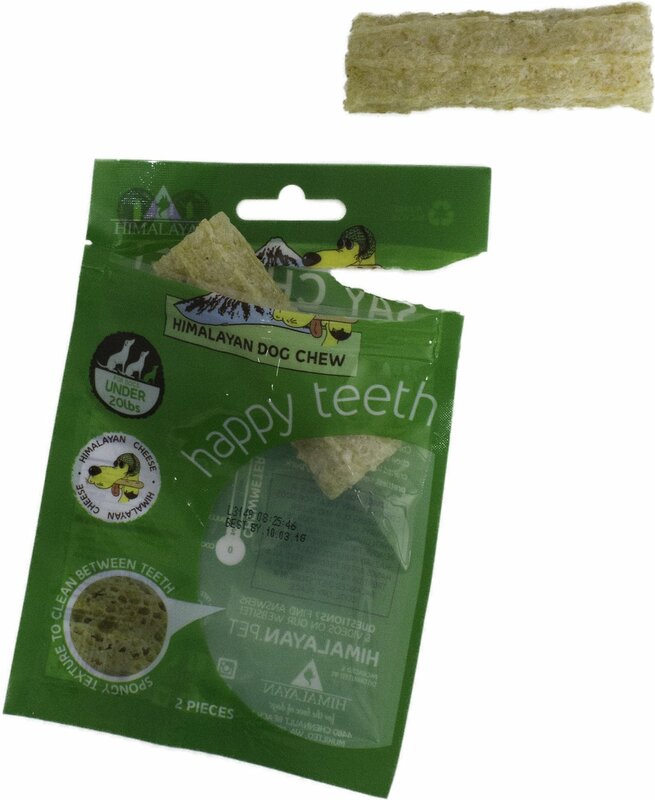 Helps clean teeth naturally with a spongy texture that works to scrape tartar with every chew. 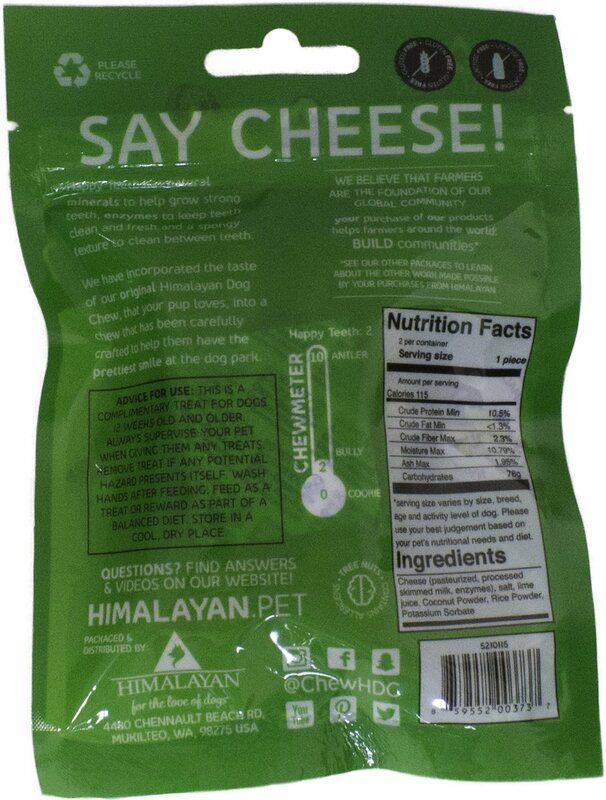 Made with an ancient Himalayan recipe that turns milk into a hard, teeth-scrubbing cheese. With natural enzymes to help remove plaque and freshen breath, plus minerals to strengthen teeth. Contains wholesome ingredients like coconut powder, lime juice and spinach for a boost of goodness. Made in the USA with no lactose, grains, gluten, soy or anything artificial, and comes in two sizes; small for dogs under 20 pounds, and large for pups over 20 pounds. This treat is intended for dogs that are 12 weeks and older. Cheese, Coconut Powder, Rice Powder, Potassium Sorbate. My dogs have loved all the Himalayan items I've bought for them, these included. I'm not sure how long they lasted them in the 4 hours I was not home, but they occupied some of their time, I'm not sure how beneficial it was for keeping teeth clean, as the dog I bought them for saw no real improvement on his teeth from having several of these. 8 month old Boston Terrier loved these but he went through it way too fast. It is a really big treat but didn't last long so it will only be given as a "special" treat not a chew treat as expected. My dog loved this treat! I was disappointed in the lack of time it lasted. A couple reviewers stated it took several says for there large dog to finish it, however, my mixed breed boxer mix finished his in 30 minutes. I saw the word "Himalayan," and I thought these treats would last a long time. 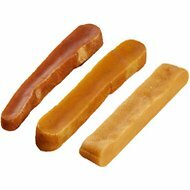 Our Golden Retriever & Miniature Schnauzer loved them, but they were more chewy than long-lasting. Sheltie Loves Them, Wish They Lasted Longer! The dogs love them but they go through them in no time. I keep trying to find something that will last them a little longer that isn’t rawhide. Don’t mind giving them rawhide every once in a while but not as a steady diet. Got these for my 4mo Lab and blasted through it like it was nothing. He loved it and it didn’t upset his tummy, but was hoping they would last more than an hour. My greyhound mix seemed to really like them but boy does it make a mess. With every bite, pieces go everywhere and he only eats the main part but leaves the bits. If the weather was nicer, he'd only get it outside. 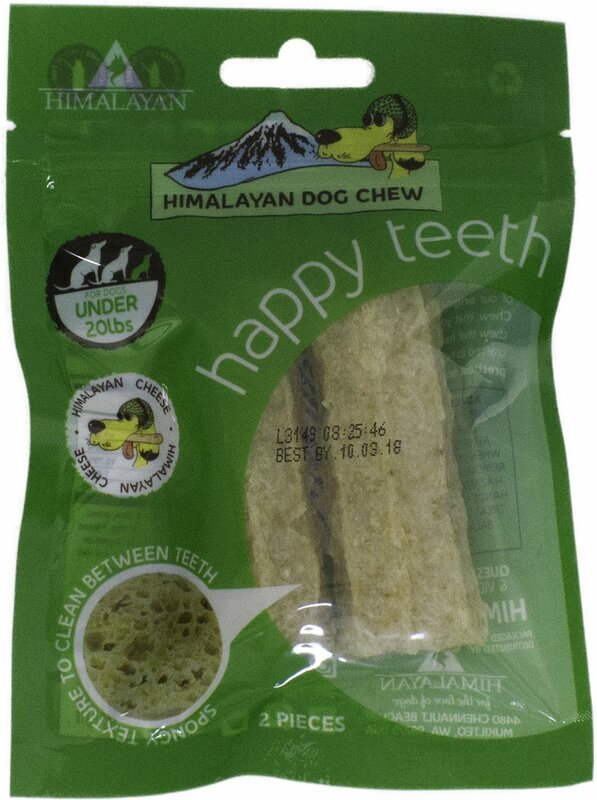 Ordered the Himalayan dog chew expecting something similar to the Original Himalayan chew. Unfortunately, these are much less dense, almost porous, and provide no resistance to a very early consumption. If the Original took weeks to nibble through, these get eaten in less than an hour. These didnt really work out for us. They Crumbled right away and made a mess. Dog loved them but they didn't last at all.